I am an inked girl. I also have diabetes, but I don’t let it get me down. 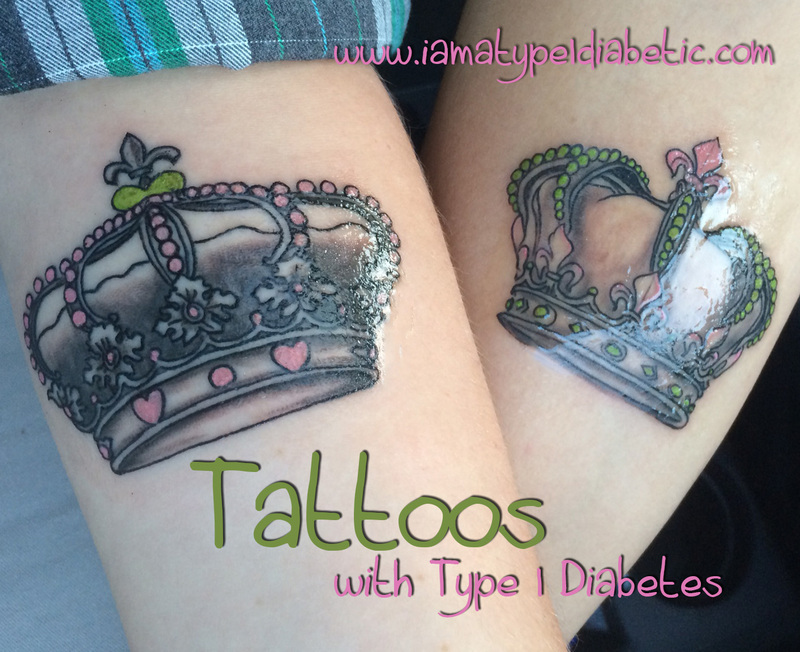 Can someone with diabetes get a tattoo? Absolutely! And I’m living proof of that. As far as my blood sugars go, I made sure they were ‘normal,’ just like I would do for any other time of the day. I made sure to eat beforehand, and kept a close eye on my blood sugars by checking my dexcom. The actual tattoo did not affect my blood sugar level. The anxiety of getting a tattoo may have raised my blood sugar slightly, but I felt more comfortable being in the 190 mg/dL range throughout the process. If I was to go low, there simply wouldn’t be a way to run for juice or a snack. Sometimes we need to realize that diabetes doesn’t control us, we control it. Those suffering with type 1 (and type 2) diabetes need to keep an open mind that nearly anything can change your blood sugar levels. Stress. Anxiety. Carbs. Excercise. Pain. Happiness. Anger. And everything in between affects the hormones in your body, which in turn affects your blood sugar levels. The more aware you become, the better you can pre-predict how it’s going to effect you, and in-turn effect your blood sugar levels. Because I suffer from type 1 diabetes, my tattoo will take slightly longer to heal then my husband’s tattoo — but I am ok with that. Of course with any tattoo, I’ll have to keep it clean, moist and give it time before letting direct water run on it. I am so glad that I saw this post! I’ve thought about getting a tattoo for a while now but so many people have told me not to do it because it’s dangerous for my diabetes. Someone even told me that my blood sugar would go low from being stabbed my the needle so many times. It’s like that’s my life or anything lol. But I’m so happy to know that it’s safe! Thank you so much!